One of the highly coveted Rose Suites, this unit is 730 sq ft (68 sq m) with stunning 11 foot ceilings. This perfectly proportioned suite offers a spacious sitting room with wet-bar and Butler's Pantry and a separate dressing area off the bedroom. There are also sliding doors than separate the living room and bedroom to allow for complete privacy or convert to a two bedroom if needed. The bathrooms are finished in 24-carat gold plated Sherle Wagner faucets and the exquisite furnishings are classic Louis XV style. There are views facing 58th street from both the living room and the King size bedroom suite. The master bath, complete with deep soaking tub is decorated with marble mosaic tile in a leaf-like pattern inspired by Central Park. There is also an owner's closet in the hallway. 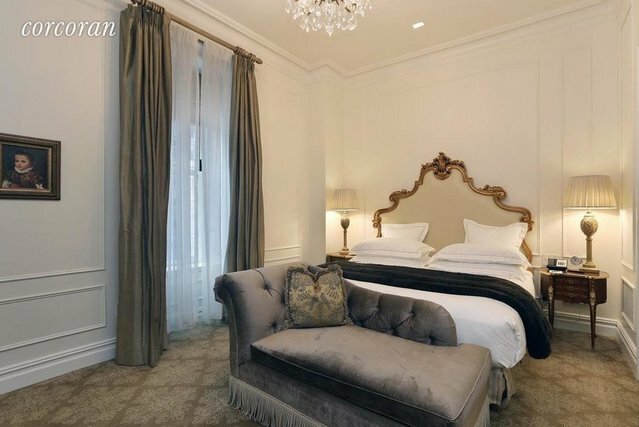 Priced competitively, this is a once in a lifetime opportunity to own a truly unique and spectacular pied-a-terre and high income producing property (net return on 2.4% based on 2016 figures)*. The owner may rent the suite through the hotel rental management program while not in residence and has the option to use the suite for up to 120 days per annum at the owner's discretion.